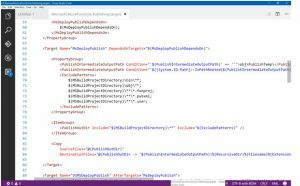 For more control, the Azure Function can be connected to GitHub or VSTS (see screenshot). Better, but not ideal. When your release pipeline contains multiple environments, dev, test, staging and production you need the same number of branches in your Git repository, losing the ‘one codebase’ principle. There is also no control on the deployment other than a Pull to a specific branch. The config is decoupled from the release (App Function application settings), development is done locally in files where only a Pull to a certain branch results in compilation and validation, all functions are deployed at once and more disadvantages … defiantly not optimal. 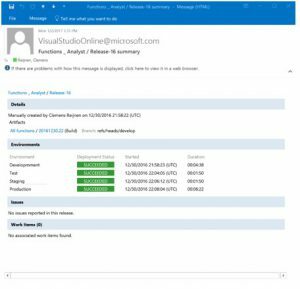 With the latest Visual Studio Azure Function Tools, the development experience gets better. 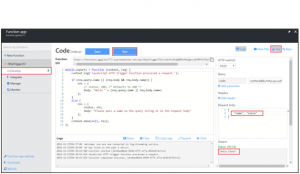 It is possible to build, run, validate, remote debug and deploy Azure Functions to Azure from a development environment. This also makes it possible to set up a more mature release pipeline for Azure Functions. 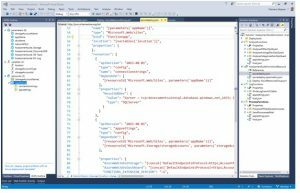 Within Visual Studio a solution can be created with multiple Azure Function projects (a funproj…), which can contain multiple Functions. 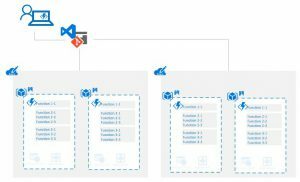 A Visual Studio Azure Function project is a deployable grouping, all functions in a funproj are deployed together. So, when a system requires that functions evolve separately than they need to be in separate funproj’s. 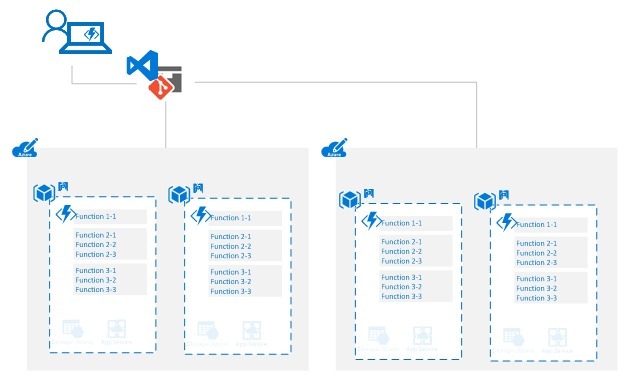 The Azure Function solution with multiple Azure Function projects and an ARM template is used to deploy to multiple environments, dev, test, staging, and production. All artifacts are in one code base and a branching strategy takes care we are always in a deployable state. A resource group per environment and a separation between dev/test and staging/production for security and separation of costs are the landing environment for the functions. The grouping of functions (per funproj) is deployed separately. With all this in place, ARM, config, solution and projects, the build can be configured. Actually, not a real build, functions are compiled on the platform (you can deploy precompiled bits too). But the build step is mainly a copying activity. The build for ARM and Azure Functions is minimal, normally it would compile, get the depending packages, unit test, code quality etcetera, but for Functions, all this can’t be done (yet?). 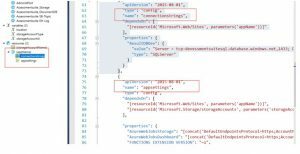 For ARM we use some template validation tasks for naming conventions, security and other validations. 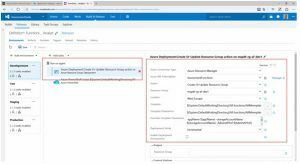 The release contains two deployment activities (the test tasks are skipped for this post. 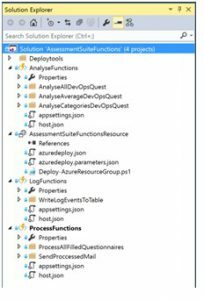 Azure Functions is an integration solution, so a descent set of integration tests would be welcome). Great article! I was wondering why you are using a custom script to kick off msdeploy.exe? 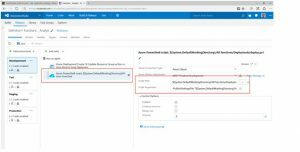 I deploy azure functions using the VSTS ‘Azure App Service Deploy’-task and that works fine. Makes live a little easier again, right?